Muskets! Spells! Beards! This British 5E D&D podcast has it all! Follow the adventures of four mad voice actors and three would-be privateers across the shores of Calcinea, a Napoleonic world full of dungeons, dragons, flintlocks and fireballs! Every Tuesday at 7pm GMT. Rated 15+. Not sure where to start? Click here! Each week on Flintlocks and Fireballs, join actors Robbie Bellekom (as Scamp), Sam Burns (as Corzin Horhace) and Ellie Sparrow (as Celestia Stardust) with Dungeon Master Jason Phelps for adventure in the Napoleonic world of Calcinea, a setting for 5th Edition Dungeons & Dragons. As always, you can follow the party’s adventures on the globetrotting map below! This week’s episode contains an in-universe map! When you reach the point where a map is purchased, click the link below to view the map itself! 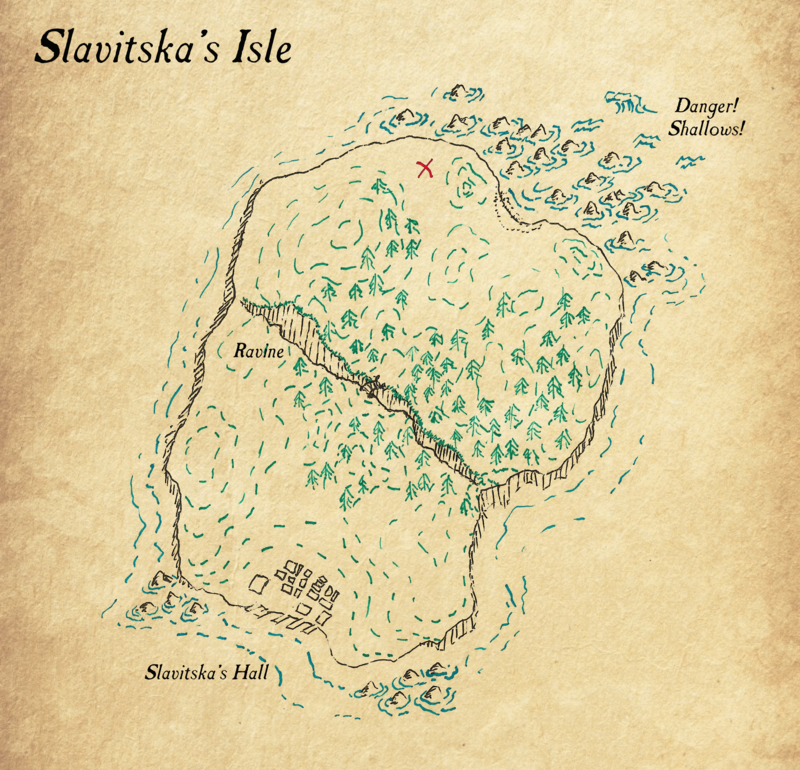 This map is a combination of the parchment map found by Scamp originally with the more detailed map of Slavistka’s Isle sold to them by Thrain Lensbearer.